The Department of Veterinary Medicine and Surgery is one of three academic departments and one of four administrative units within the College of Veterinary Medicine. Faculty from the Department of Veterinary Medicine and Surgery provide training in all four years of the professional curriculum. During the first year of basic science instruction, clinicians help to show the relevance and application of basic science principles to clinical medicine and surgery. They also provide the didactic instruction for clinical subjects in the second and third years of the curriculum. Students enter their clinical training early in their third year of professional education. 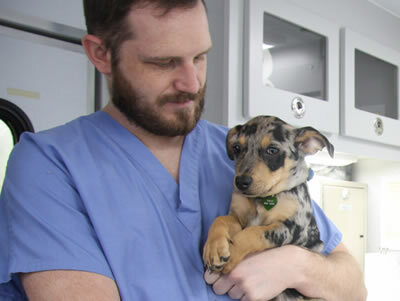 The Department of Veterinary Medicine and Surgery is the academic home of the Veterinary Health Center (VHC), which serves as the instructional clinical laboratory for the college. The VHC provides primary and referral animal health care services to the animal-owning public. Within the VHC are clinical sections that relate to specific disciplines. The sections are responsible for teaching and clinical case management in their respective areas of specialty.